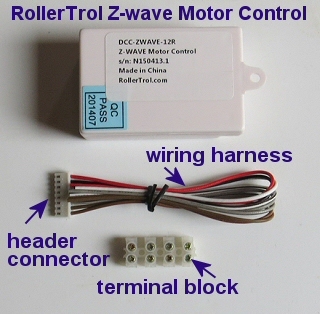 FAQ: How do I use ZWAVE and Vera to control blind motors? Our ZWAVE® motor control trigger module (DCC-ZWAVE-12R) can be used to operate our shade and blind motors, window and skylight openers, using our surface mount radio wall switches, and other interfaces. In the previous articles we examined the basic operation of the Z-WAVE trigger module, used to control our motors. The final step in the configuration of this system is to assign the ZWAVE module to a home automation control hub, and we'll use the Vera product in this example. ZWAVE setup on the Vera home automation is a relatively simple process, and it is a relatively standard procedure on any Z-wave hub. That's it, you're done! Vera will automatically detect the presence of the ZWAVE device waiting to be included, and it will be automatically registered - and the device-specific controls will appear in the 'Devices' area of the browser based user interface, ready to use. 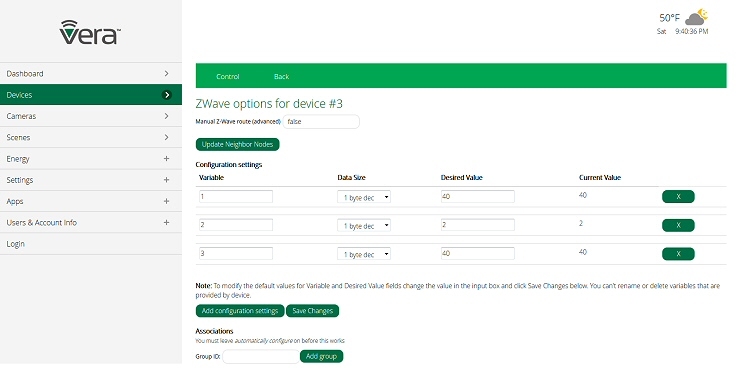 Other ZWAVE hubs from other manufacturers may not 'auto-include' the device, and you may have to take the extra step of pressing the 'include' button on the ZWAVE module (beside the header connector). If you are using our ZWAVE module to trigger our radio motor wall switch, no further adjustment is required, as the default 'relay on' time of about 1 second will work quite adequately. Factory Re-set: If you need to re-set the ZWAVE trigger module, hold the setting button down for at least 5 seconds, then release it. If you are using our ZWAVE trigger module with our wired wall switch, there will be one further adjustment to make, in order to use the 'momentary' mode of wall switch. The relays in the ZWAVE module will have to be held on for the duration of the desired motor travel time. In the Vera system this consists of adding 3 variables with the associated timing for each of the 3 control relays, and other hubs will have similar capabilities.